Dominican-born bilingual poet, essayist, short story writer and translator Rhina P. Espaillat has published 8 books and 3 chapbooks. 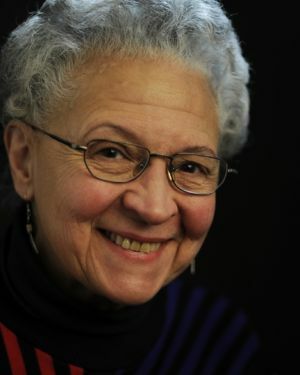 Her work has appeared in over 60 anthologies and many periodicals, and has earned numerous awards, including the Richard Wilbur Award, the T. S. Eliot Prize in Poetry, the May Sarton Award, the Nemerov Prize, a Lifetime Achievement in the Arts Award from Salem State College, the “Tree at My Window” Translation Award from the Robert Frost Foundation, and several honors from the Dominican Republic’s Ministry of Culture. Her most recent poetry collection is Her Place in These Designs.